Two years ago today, the last surviving member of science fiction’s “Big Three” died. It was Arthur C. Clarke, whose prose was never really what anyone else would call great, but it was sufficient. That’s not the point. He was an ideas man. 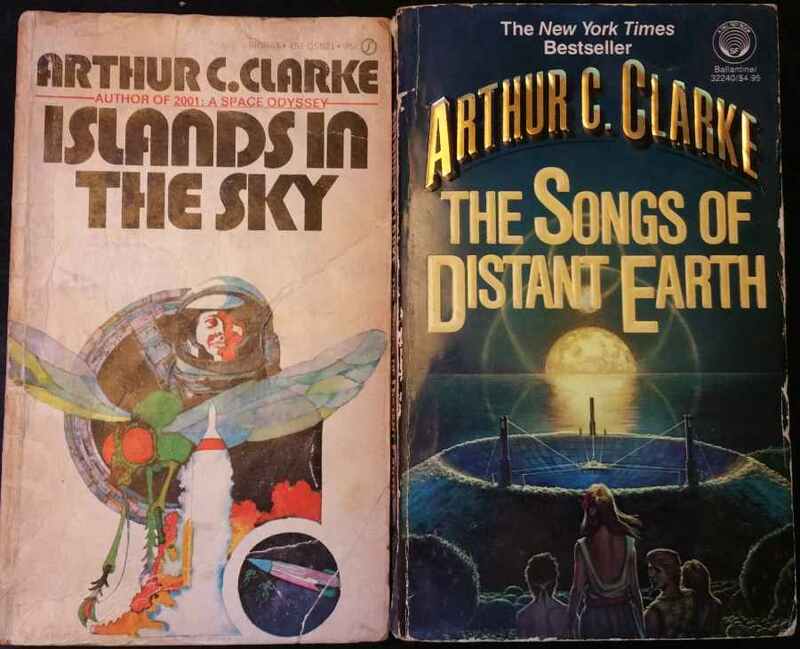 ACC also had science—real science, when it didn’t get in the way of awesomeness—and he had a huge influence on my imagination today, which is why I believe that science fiction stories and fiction in general are healthy things for children; a lot of Clarke’s works would have been labeled “young adult” if released today. I was always interested in science, but I wasn’t in love with the subject until ACC showed me how weird and bizarre it is. So maybe I should really say I learned science appreciation from Clarke, instead of using the sensational title above, but having revisited a lot of his stories lately, I was struck by one epiphany after another: it was unreal how often I would stop reading and think, “Oh… so that’s why I started thinking about that at such an early age.” He didn’t just have a big influence on my interest in science, but creatively and politically. I never realized how much Clarke influenced the adult I would grow up to be until recently. Somewhere above Austria it began to disintegrate, producing a series of concussions so violent that more than a million people had their hearing permanently damaged. They were the lucky ones. The catastrophe spurs humans to implement SPACEGUARD, a program which watches for catastrophic collisions. 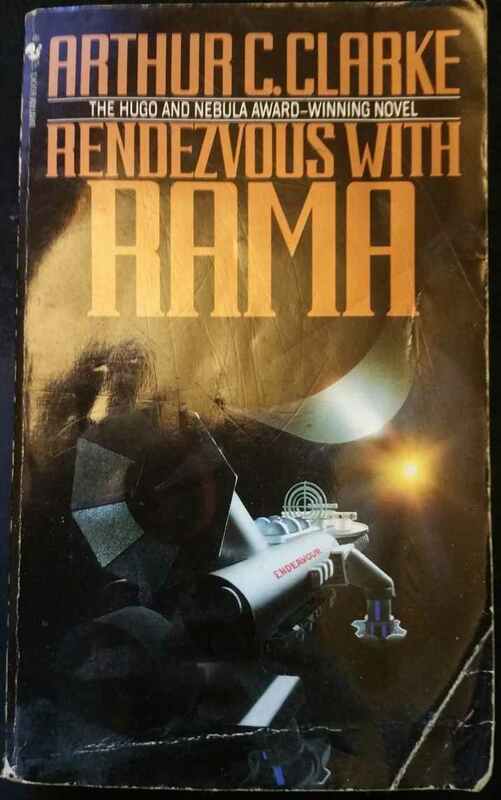 Fifty years later, SPACEGUARD (which is on the brink of being shut down) discovers what scientists will soon call Rama: a cylindrical spacecraft which has mysteriously entered our solar system and will soon leave. This gives humans a very small window by which to study the alien craft. At which point I was hooked and spent a long night reading the novel beneath my covers with a flashlight. The year was 1993 and I was ten years old. I’d seen Rama Revealed on a bookshelf and was fascinated by the cover and its synopsis. When I realized it was a sequel, I begged one of my parents to order a copy of the original book for me. Here’s a startling thought: what if they hadn’t? Honestly, the very thing that makes me me is so deeply wrapped up in that story. If they hadn’t indulged my request, the person writing this post wouldn’t exist. What Rendezvous did for me was introduce my feeble little mind to visual thinking, including in and about conceptual physics. The spacecraft Rama generates artificial “gravity” via centripetal force. Inside, separating the two halves of the cylindrical craft is an ocean in the form of a equatorial band, held in place by said spin. Perhaps I struggled with this imagery at first: a giant band of water that “sticks” to the inside of the cylinder’s continuous wall. And when the characters ride a boat in the middle of this ocean, they can look up and see more of the ocean ahead and above them. Some time after inhaling the entire Rama series, I found the book version of 2001, which was more or less written concurrently with the film at Kubrick’s request. If nothing else, it expanded on the Dawn of Man stuff seen in the film, which was probably the first time I considered human evolution and our prehistoric ancestors. It also expands on how Hal 9000 tries to kill the main character, which in some ways is scarier than the movie. I mean, imagine being alone on a spaceship with a brilliant yet murderous computer and, suddenly… well, let’s not spoil that here, but the sequence was probably deemed unfilmable by Kubrick’s budget, which is why we got what we got—which was good, too. On the Moon, of course, there is no loss of detail with distance—none of that almost imperceptible haziness which softens and sometimes transfigures all far-off things on Earth. Some of ACC’s earlier stuff may seem a little lackluster compared to classics like 2001 and Rama, but the science is still pretty hard and the stories are charming, if not disappointingly simplistic in structure. Some of the things he dwells on is common knowledge for most SF fans (particularly the “There’s no up or down in space” stuff), but I think it’s interesting to note how early he was writing it… specifically the fact that he was writing it before humans ever went to space. A lot of what he wrote was not common knowledge when originally published. There were also, I’d discovered, some interesting tricks and practical jokes that could be played in space. One of the best involved nothing more complicated than an ordinary match. One of the astronauts demonstrates by lighting a match which promptly extinguishes itself, much to the boy’s dismay. It’s funny how the mind works, for up to that moment I’d been breathing comfortably, yet now I seemed to be suffocating. The boy worriedly tells him to light another match. And it, too, goes out. Then, after the boy panics, he realizes they were only pulling his chain. ACC then has his characters explain that, in the absence of gravity, smoke has nowhere to go and suffocates the flame. I don’t know why, but that scene always stuck with me. I guess I enjoyed daydreaming about all the pranks you could pull in microgravity. Having said that, beyond the explanations of time dilation at relativistic speeds (one of the first times I was introduced to that concept), the only thing about Childhood’s End that really sticks out in my mind today is the introduction included in my edition (1990, Pan Books LTD.). There, Clarke admits that he was impressed by the evidence for the paranormal when he wrote Childhood’s End. When Childhood’s End first appeared, many readers were baffled by a statement after the title page to the effect that “The opinions expressed in this book are not those of the author.” This was not entirely facetious; I had just published The Exploration of Space, and painted an optimistic picture of our future expansion into the Universe. Now I had written a book which said, “The stars are not for Man,” and I did not want anyone to think I had suddenly recanted. At any rate, I just thought I’d use the anniversary of Clarke’s death to geek out about the things that made me such a geek today.